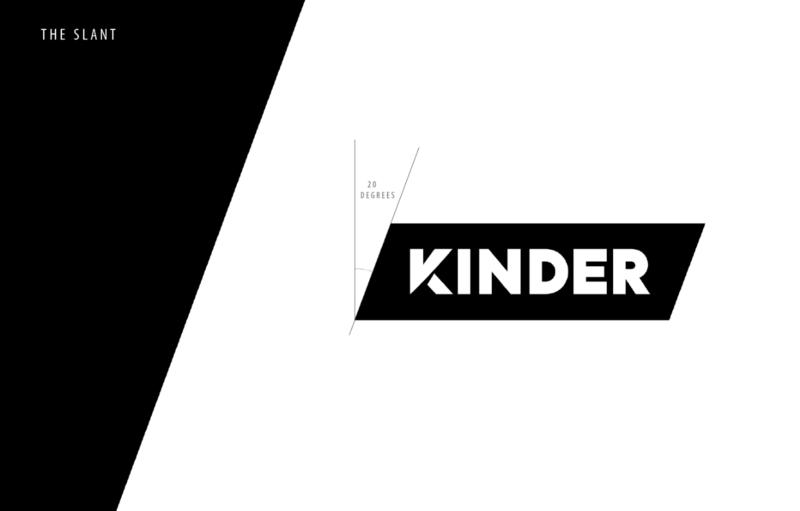 The Kinder logo is bold and strong, the slanted shape gives a pro-active feel. It shows we're here to make an impact in a new refreshing way. You can find the logo files here. 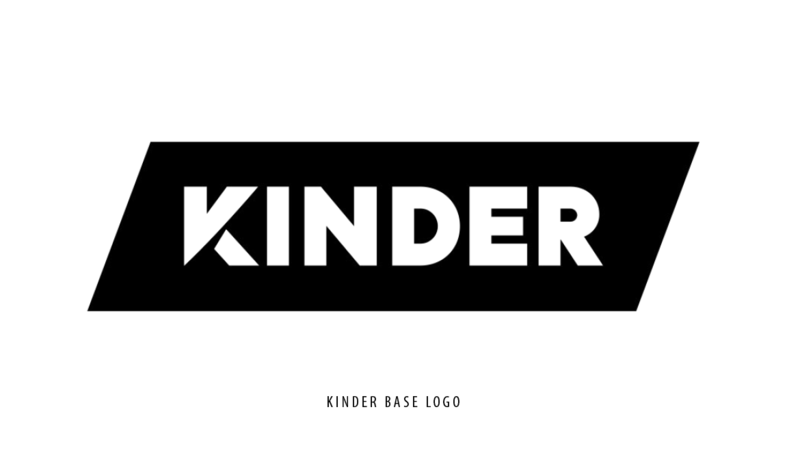 Use the Kinder base logo instead of using the icon. 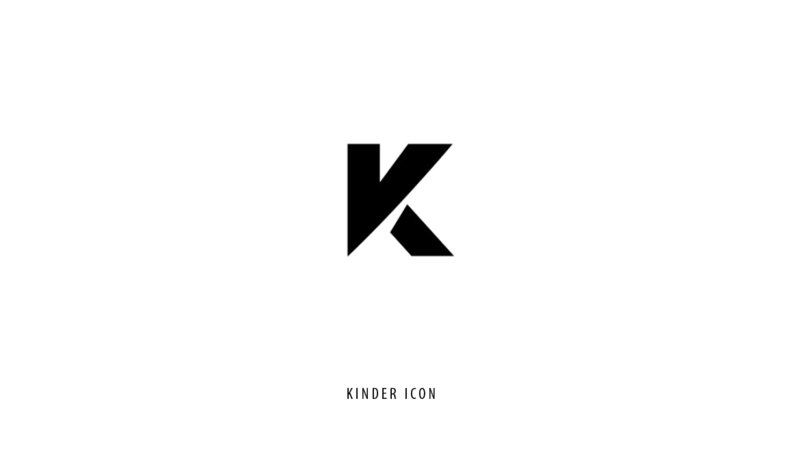 The only places the Kinder icon is used is for favicons and social media profile pictures. 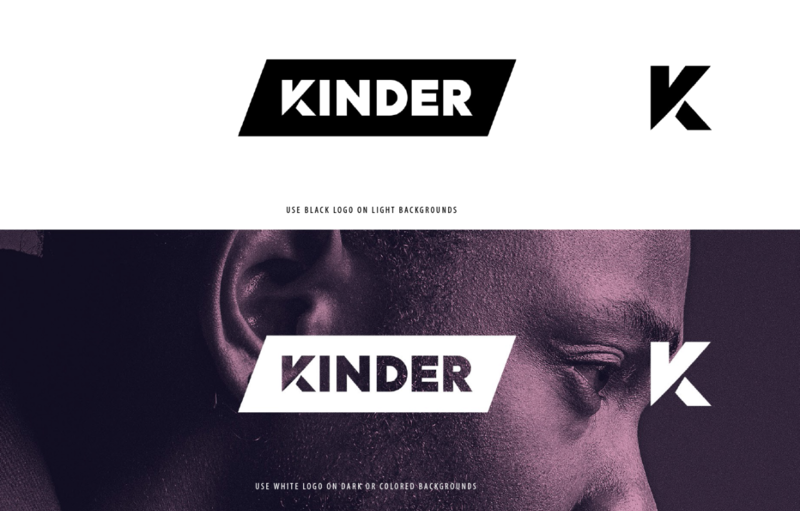 When using the slanted shape, make sure to use the same 20 degree angle as used in the logo.